When it comes to choosing a gift for Father's Day, I'm often left stumped. My Dad, like most Dads, is really hard to buy for. In typical Dad fashion, he claims to have everything he wants, and every special occasion proves to be a problem. That's where Mainline Menswear were able to help! 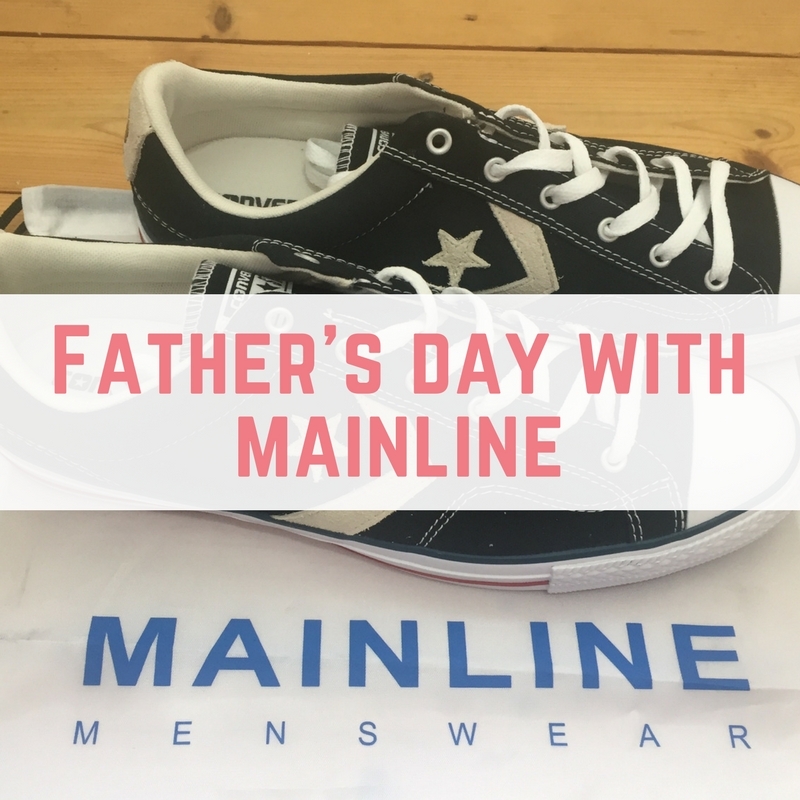 Mainline Menswear got in touch and asked if I would like to review an item for Father's Day, and in true blogger fashion, I jumped at the chance! 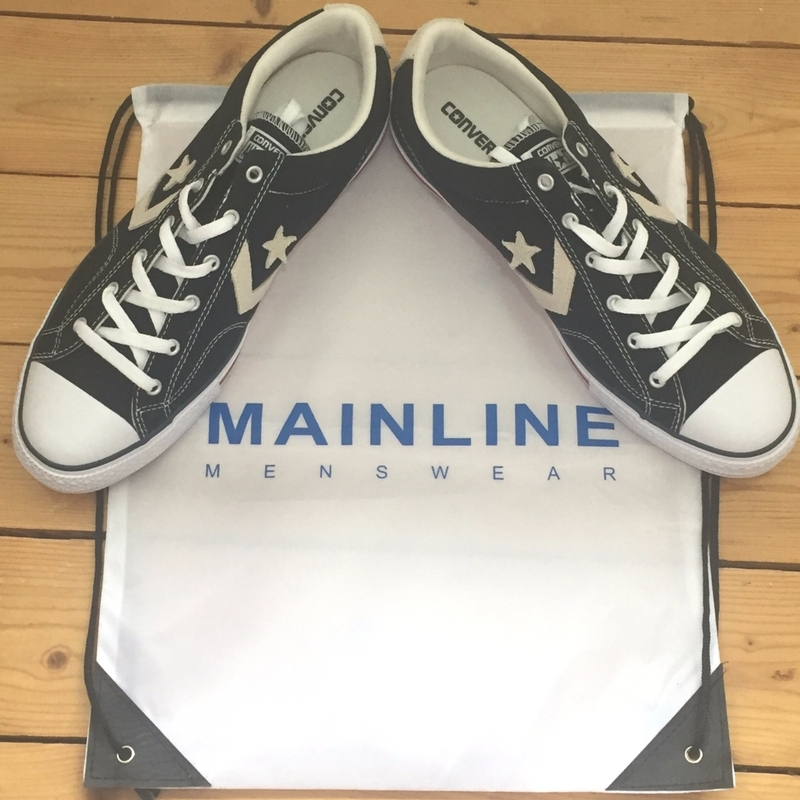 If you don't know who Mainline Menwear are, they are on online menswear retailer who stock a massive 85 designer brands and 8,000 products, meaning that there is something suitable for every budget and every taste. That includes awkward Dads! 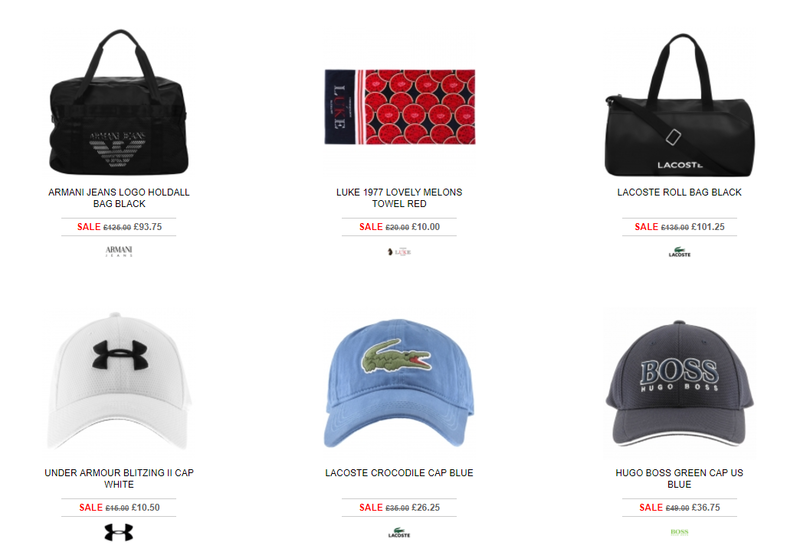 Navigating the website is really easy – you can head to a designer or brand that you know your Dad loves, or you can browse through areas like “holiday essentials”. And in true money saving fashion, there are plenty of items on sale to make your money go further. I chose the Converse Cons Star Player Ox trainers in black. These are different to the usual Converse hi-tops that we think about, meaning that my 72 year old Dad didn't feel too much like a teenager. This pair has the signature Converse logo and style, whilst giving him added comfort. The padding at the back of the heel was really appreciated! Mainline offers several different methods of delivery. Which can extend to Europe and the rest of the world, though these two are the more expensive. For the most frugally and time minded of us though the cheapest delivery option is also fairly swift, being a 72 hour delivery at a cost of only £3.50. But for those of us who just can't wait for whatever reason, like last minute present buying, then there is a next working day delivery option at only £4.95 and weekend delivery for £7.95, a price some of us will be willing to make to make sure the perfect gift arrives on time! The packaging was really good as you would expect from any professional retailer, and we even got a little Mainline bag perfect for the gym. Ultimately I am very impressed and would happily use Mainline Menswear again in the future. I am thinking for my husband next as we need to get him some new clothes, but trying to make him buy them can be hard, is this a common man thing? My dad now feels that much more hip and trendy when he pops out to the shops and he's looking forward to wearing them to go fishing (the new fishing season started on 16th June – just in time for Father's Day! 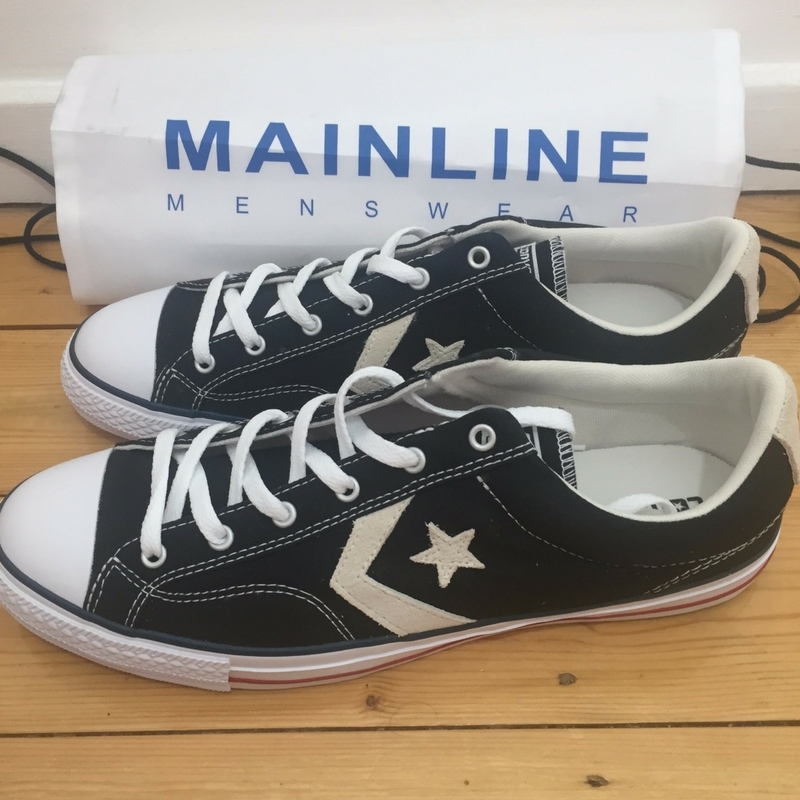 ), and it is thanks to Mainline as otherwise I would never have thought about getting these Converse trainers for my dad. 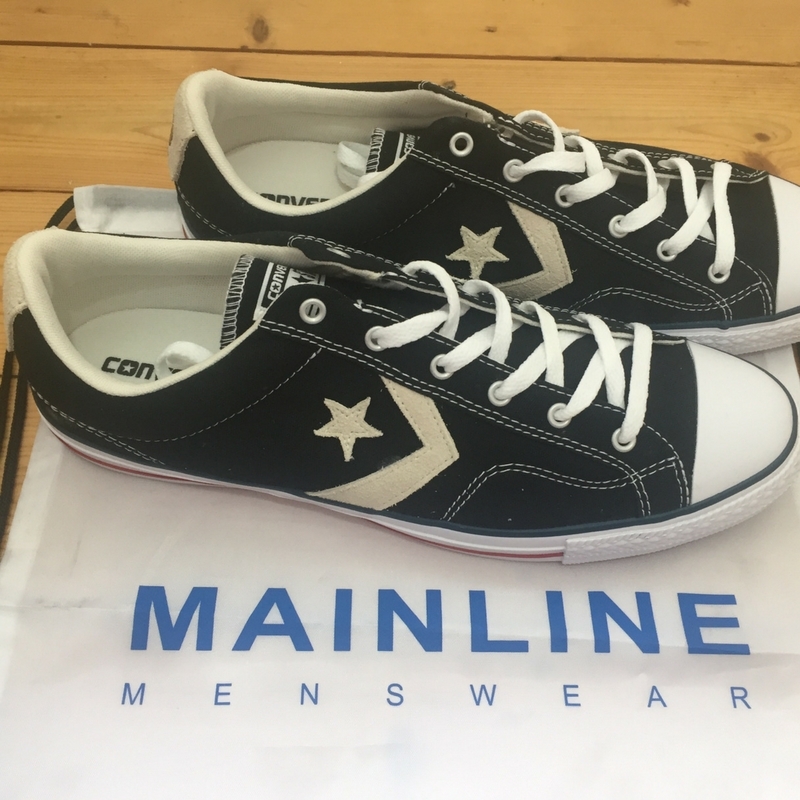 Disclaimer: I received this pair of Converse from Mainline Menswear in exchange for a review. All thoughts and opinions are my own.